A street art project aims to show the world there is more to Yemeni people than terrorism. Black and white portraits of everyday Yemenis are now decorating the walls of the capital Sana’a, as well as the cities of Taiz, Hodaida, Hadramawt and Aden. Inside Out Yemen is a project that aims to use “the power of photography as a way to create an alternative space in which counter narratives can be told and shared.” One of the objectives is to show the real Yemeni citizens. Many people, including Alwazir herself, were upset about how their country and themselves were portrayed by the mainstream media. “This was a way in which we can have control over countering those narratives and reclaim our stories in our own, fun way,” she explains. The inside out is a global, large-scale participatory art project, which aims to convert messages of personal identity into creative work. Everybody, each and every single one of us, has a story to tell. “I’m a lover of photography and a huge believer in the power of theses stories,” says Alwazir. But street art isn’t all that big in Yemen. “People in Yemen lack the street art culture so they need to learn from others’ experience,” project member Aziz Morfeq explains. 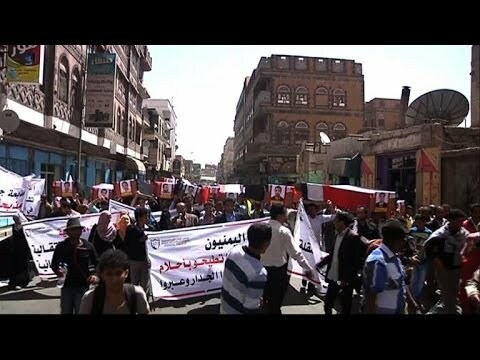 Many passers-by were surprised seeing Morfeq and the others putting up posters along the streets of Sana’a. People got curious and stopped. “Who are the people on the posters?” they asked, expecting them to be wanted criminals, perhaps martyrs, or just advertisements. They were surprised to find out that they’re normal Yemenis. The message is that photos or posters don’t always need to represent sad news or plain advertisement but instead show everyday heroes, the strong women or men, rich or poor, young or old. “I recognized that the dominant narrative of terrorism and hopelessness in Yemen is used to start and continue wars, infringe our freedoms, obscure corruption and misrepresent reality,” explains Alwazir. The way the country usually is portrayed, “continues to marginalize our people, and ignores and erases our existence.” But Alwazir is hoping the project will create a space in which people can share stories and build a strong community.